This spring, wildflowers have painted Southern California’s high desert regions with an almost unprecedented palette of vibrant hues, a seasonal masterwork that has been mirrored by an automotive equivalent, the Rolls-Royce Dawn—Palm Springs Collection. The term “collection” may be a misnomer, as it refers to a production run of one, but the car is certainly an assemblage of tailored touches. 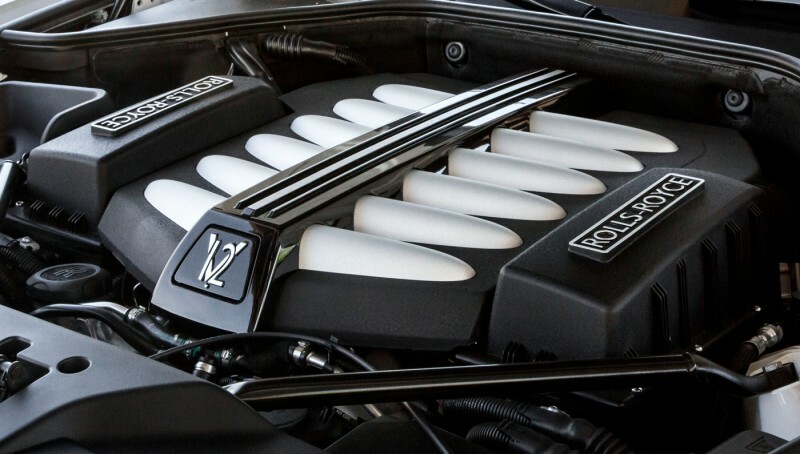 The project paired the British luxury marque with Rolls-Royce Motor Cars Rancho Mirage, in Rancho Mirage, Calif. 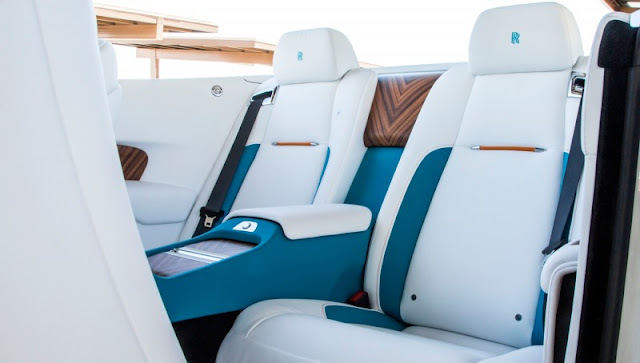 The dealership wanted a presentation piece that demonstrates the customization capabilities of the House of Rolls-Royce Bespoke Design Studio in Goodwood, England—and the unique Dawn does not disappoint. 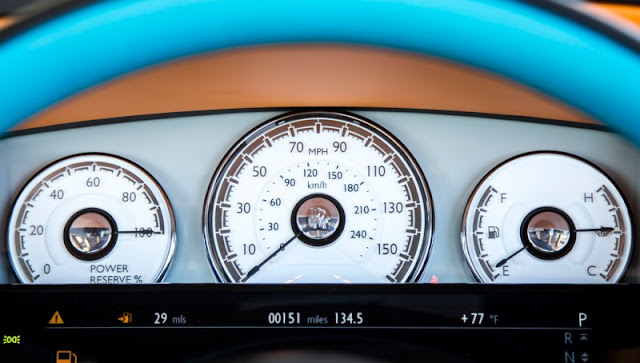 The drophead coupe immediately catches attention with its bold juxtaposition of colors, specifically Turchese and Mandarin, the brand’s own variations on turquoise and orange. 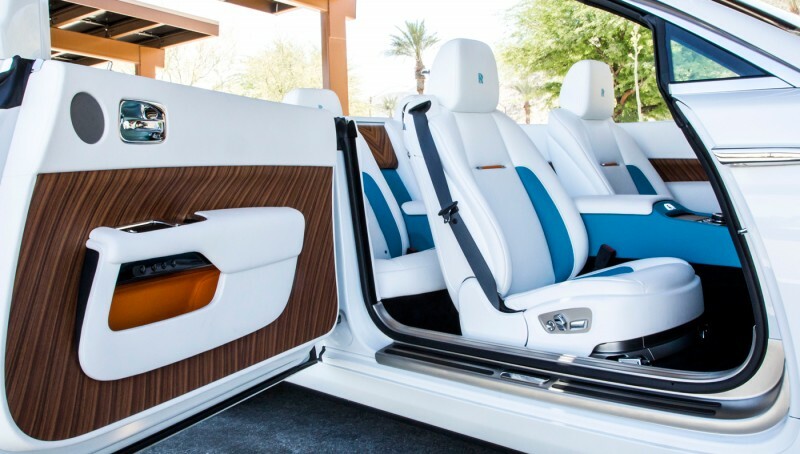 Dancing off a backdrop of Arctic white for much of the interior, Turchese and Mandarin accents are ubiquitous throughout the cabin, including the seats, the treatment of the dash, and the hand-sewn steering wheel. The pigments also play prominently in the stitching (done by hand) and piping. The elegance inside is further enhanced with the combination of open-pore Santos Palisander veneer (from the furniture craftsmen at Canadel) and fine leather. The exterior is an oasis of Arctic white. 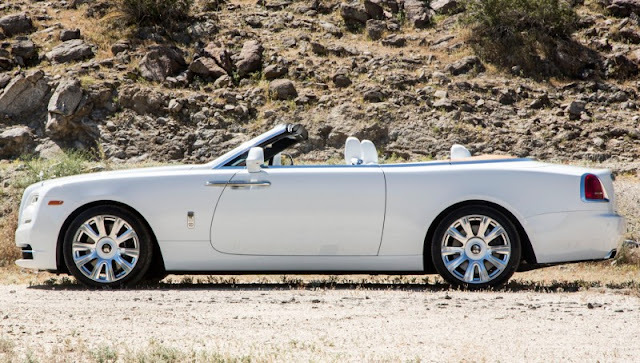 Debuted in 2016, Rolls-Royce's four-seat open-top model is powered by a 563 hp V-12 engine paired with an 8-speed automatic transmission, a team that takes the convertible from zero to 60 mph in 4.8 seconds and allows a top speed of 155 mph. The potent power train and airy aesthetic helped the car contribute significantly to the marque’s 12-percent increase in sales last year.